Going to the gym for the first time can be intimidating, especially if you don't have a trainer or a friend to show you how the machines and fitness stations work. The questions start the minute you walk in the door. How much weight should you load onto a machine? How long should you work each muscle group? How long should you be able to run on the treadmill or use the elliptical? Talk to your doctor. Because most people are living a sedentary lifestyle, they should first visit their doctor to make sure it is safe for them to exercise. Once they get the green light from their doctor they can safely begin to build activity and exercise into their daily life. The secret is to start at a level appropriate to them and increase gradually. Going to the gym is a good way to fit in some of 150 minutes of exercise recommended per week for adults. Seek expert advice. 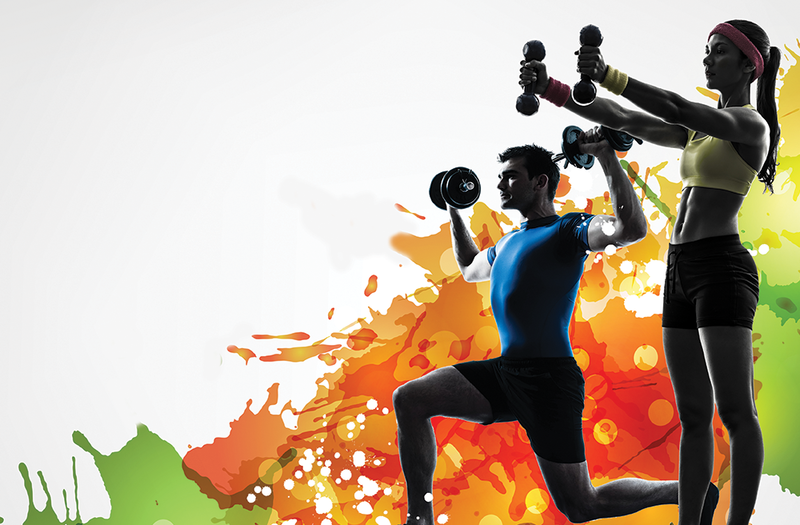 When considering whether to join a gym, look for one that can offer you expert advice. Brereton suggests joining a gym that has kinesiologists and certified exercise physiologists on staff. They will help you meet your training goals safely and efficiently. "It's the fastest way to get the biggest bang for your buck," he says. "And it's imperative if you are rehabilitating a body part after an injury." Once you have settled on a gym and you are ready to begin a regular exercise routine, it is important to diversify workout. Most gym visits should include both a cardio and a strength training component. Brereton says that both of these, along with flexibility exercises, are important in order to improve your overall health and physical well-being. He suggests that each visit include a cardiovascular and a strength-training component that will help you accumulate the recommended 150 minutes of exercise per week. Brereton also recommends that you never strength train the same muscle group on consecutive days as they need a day's rest in order to improve. The machines and exercises you choose will reflect your personal preference, says Brereton. "Some machines fit certain body types better," he says. "Some people like the machines, and others like the free movements that simulate activities, because real life doesn't have a set pattern," he says. Either way, when you're new to the gym, start slowly and progress to the point where you will get results. Remember to add variety to your workouts in order to keep your routine fresh and your motivation high. Here is a brief guide to the equipment you can expect to find in most gyms, along with a brief description of what they are used for. Aerobic exercises are done on machines such as stationary bikes, ellipticals, stair climbers, rowing machines and treadmills. "Anything that gets your pulse up, gets you sweating and moving," says Brereton. Most of the equipment in this category will come with a "quick start" button that will allow individuals to easily start using the machines. Other programs will ask for height and weight in order to offer a more detailed and advanced workout. These programs will provide a choice of a warmup, as well as different speeds, inclines, and levels of difficulty. Treadmill: One of the most widely used exercise machines, the treadmill can be particularly useful when the weather isn't nice. The deck of the machine is softer than pavement and the surface is always even, says Brereton, adding that you'll never fall into a pothole on a treadmill. Elliptical trainers: These machines offer a low-impact, cardiovascular workout that targets the lower-body muscles. Some ellipticals come with arm attachments that allow for an overall body workout. That means they are good for the knees as well as the heart. Some can be driven forward and backward. Try the different models to find one that fits your body and style the best. Most elliptical machines can be pedalled in reverse, which allows you to work your calf and hamstring muscles a bit more. Stationary and recumbent bicycles: The bikes offer a low-impact cardiovascular workout aimed at the legs and lower-body muscles. Most gyms offer spin classes, in which you alternate between low and high periods of intensity on the bike. Rowing machine: This machine also provides a cardiovascular workout that targets both the upper-body and lower-body muscle groups. It provides a wonderful aerobic workout that uses the quadriceps, biceps, back and abdominal muscles. Jacob's Ladder: Combine a ladder and a treadmill and you get a Jacob's Ladder - a non-motorized climbing machine. This device is a hit with the fitness crowd because it gets you climbing with your hands and feet. "The faster you go, the faster the ladder moves," says Brereton. "You can take it easy or get a pretty intense workout on the ladder." Step onto the machine. Starting to move will activate the "quick start" function. Look at the screen, which will ask you to choose a program. You will be asked for your weight, and sometimes, your height and age. This helps the machine calculate how many calories you are burning. By choosing a program, the machine will change the intensity and difficulty of your workout. Move at your own pace, not the speed of the person on the machine next to you. If you are just beginning to use the machine, the "warm up" program at difficulty level one is a good choice. This program generally lasts seven to 10 minutes on most machines, and will gradually increase the resistance, and then lower it back down. Remember to wipe down the parts of the machine you have touched after your workout is over. The next person will appreciate this! Strength training gets your major muscle groups going. You can use the weight machines or free weights, along with other objects like kettlebells, medicine balls and dynabands. Healthy adults should do strength-training exercises that work the major muscle groups a minimum of once a week. As an individual gets into better shape, they can increase their strength training sessions to twice or three times a week. These workouts will help maintain or add muscle mass and bone density. Free weights: Free weights come in various styles, including barbells, dumbbells and kettlebells. Look for squat racks that help you with the heavier barbells. Do eight to 12 repetitions for each exercise. Gradually build up the number of repetitions. Pay attention to your technique when using free weights. Only quality repetitions provide quality results, says Brereton. "If you do something incorrectly, you can injure yourself." Variety is the key. Your body has the ability to adapt to your workout so it is important to change up your exercises in order to maximize your benefits. Remember to never work the same muscle groups on consecutive days in order to allow them the appropriate amount of rest needed in order to become stronger. Weight machines: There are different types of weight-lifting machines. Pin-loaded machines have stacks of rectangular weights with a hole in them for the pin. The lower you insert the pin, the more weight is lifted. Plate-loaded machines require you to put the weight plates on the machine yourself. Many plate-loaded machines offer a higher range of motion than pin-loaded machines. "It's a matter of personal preference as to whether you do a lat pull-down on a pin-loaded or a plate-loaded machine," says Brereton. "Both have the same effect: they strengthen the latissimus dorsi muscles, which are the major muscle group of your back." 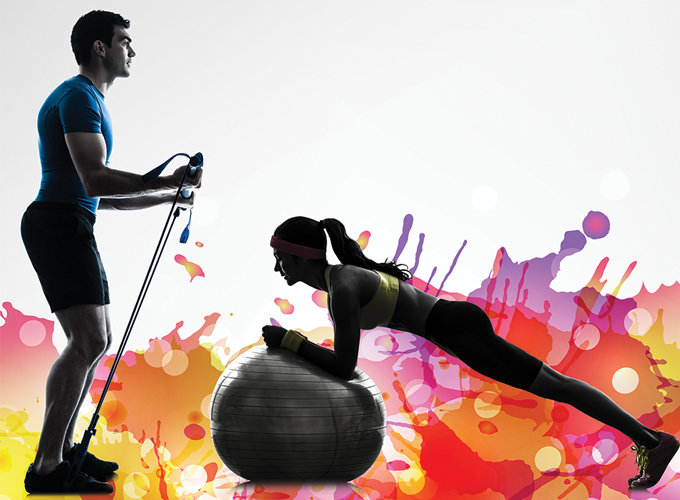 Air-resistance machines use pneumatic technology to allow the user to change resistance quickly. Instead of pumping iron, you push or pull against compressed air (pneumatics). Compare doing a bench press with a barbell to doing the same exercise on an air-resistance machine. When you push the barbell fast for the first half of the move, it becomes lighter for the second half of the motion, due to momentum. With pneumatic resistance, no matter how fast you move, the resistance stays the same. This means that inertia, acceleration and other factors like friction from the cams and pulleys on a traditional weight machine are not a factor when using air resistance machines." These are less stressful on the joints, and you can train at any speed," says Brereton. "Athletes love these, especially those in sports where you need explosive movements, like basketball or hockey. You can train at the same speed as you play sports." A golfer might exercise on a traditional stack of weights, using a "woodchopper" exercise. On some weight machines the cables can only move so quickly, so the air-resistance machines allow the golfer to reach speeds closer to what they're doing on the fairway. This type of exercise improves co-ordination, reaction time and balance, and gives you a whole-body workout at once. Bosu balance trainers: Bosu balance trainers are an inflated rubber hemisphere attached to a rigid platform, making them look like a stability ball cut in half. Bosu - which stands for "both sides up" - are used for both balance training and aerobic exercise. When the dome side faces up, the Bosu ball provides an unstable surface while the device remains stable. Flipped over, the platform side can be used for a variety of exercises. Medicine balls: These weighted balls have made a bit of a comeback in recent years. Usually weighing between 0.91 and 11.34 kg, they are used to simulate movements from everyday life, such as chopping wood, carrying a toddler or anything that causes you to twist while you lift. This is part of the "functional fitness" movement, says Brereton, where people are looking to strengthen the muscles they use every day around the house and at work. Stability balls: These air-filled balls force your body to balance while you are working through exercises. Most frequently, the core body muscles - abdominal and back - are the focus of stability ball programs. For example, you can tone your abdominal muscles by doing crunches on the ball. To do so, sit on the ball with your feet on the floor. Keep your back straight, cross your arms and tighten your abdominal muscles. Lean back, until you feel your abdominals tighten further and hold to the count of three. Start with up to five repetitions. Over time, you can gradually increase to 10 to 15 repetitions. Suspension trainers: This is a system of ropes and bands that allows you to work against your own body weight. The aim is to develop strength, balance, flexibility, and joint stability simultaneously, by putting your body through a variety of positions and exercises while attached to the ropes. Suspension trainers are a more advanced piece of equipment, says Brereton. "You must be able to safely control your movements under the guidance of a trainer." Susie Strachan is a communications specialist with the Winnipeg Regional Health Authority. Originally published in May/June 2104, updated Jan/Feb 2017. Don't compare yourself to other people. Make a plan for your own success and ignore the amount of weight the person next to you is loading onto a machine. Remember to breathe freely when you're lifting weights. Take the time to set the exercise machine for your weight and height, in order to help you do the movements correctly. If exercising hurts, stop and rest. It is okay to feel some stiffness after a workout, but pain during a workout or pain that lasts after a workout points to possible injury. There is no optimal time during the day for your workout. Choose the time that works best for you. Most gyms set a time limit for using each piece of equipment. Other people are waiting their turn. All gyms require you to clean each piece of equipment after you have used it. The next person in line will appreciate this.